NEW LISTING! 10 Chaucer Dr; Clinton Twp. NEW LISTING! 305 North Polktown Rd; Bethlehem Twp. A SUPERBLY MAINTAINED 2974 SQ FT 3/4BR BRICK & CEDAR RANCH ON A PRIVATE AND GORGEOUSLY WOODED 1.5 ACRE LOT OFFERING BEAUTIFUL WINTER VIEWS AND A GREAT LOCATION JUST MINUTES FROM SPRUCE RUN RESERVOIR. THIS WARM AND INVITING HOME FEATURES AN OVER-THE-TOP DELUXE GOURMET CENTER ISLE KITCHEN WITH UPGRADED CHERRY CABINETRY, UNDER-CABINET LIGHTING, HIGH-END STAINLESS STEEL APPLIANCES INCLUDING A 5-BURNER RANGE WITH DOUBLE OVEN, A SIDE-BY-SIDE REFRIGERATOR/FREEZER, A 4-CASE WINE COOLER, & A WALK-IN PANTRY. OTHER HIGHLIGHTS INCLUDE A 22X16 CATHEDRAL CEILING GREAT RM WITH A FULL BRICK WALL HEAT & GLO GAS FPLC, A HUGE 23X21 MEDIA RM OR 4TH BDRM, AN EXPANSIVE MBR SUITE WITH A LARGE WALK-IN, A LUXURIOUS NEWLY UGRADED MASTER BATH, HARDWOOD FLRS THRU-OUT, A WELL-MAINTAINED 20X30 DECK, NEW ANDERSON WINDOWS, & SO MUCH MORE! NEW LISTING! 22 Studer Rd; Clinton Twp. OPEN HOUSE! 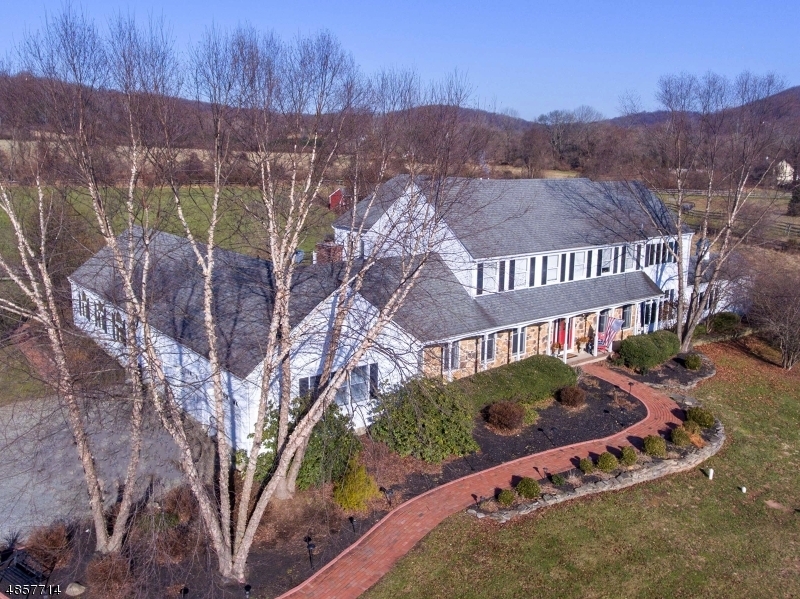 14 Kelsey Farm Rd; Alexandria Twp. OPEN HOUSE! 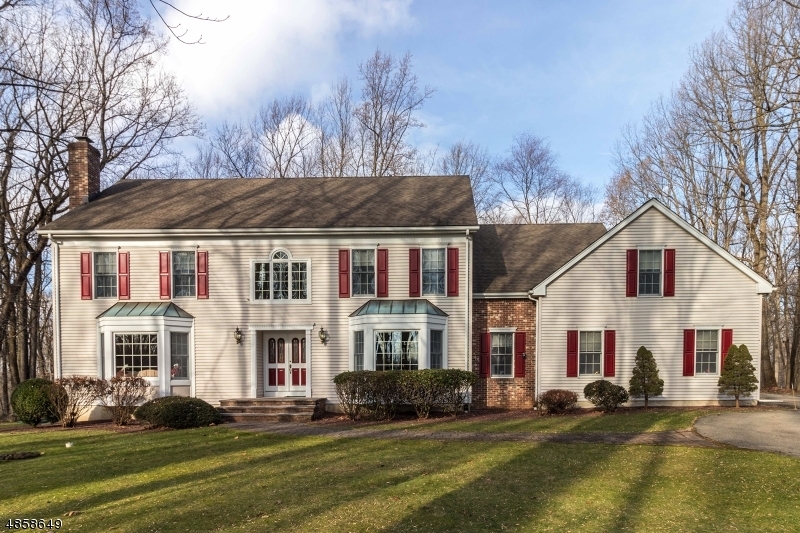 5 Turtle Ct; Raritan Twp. 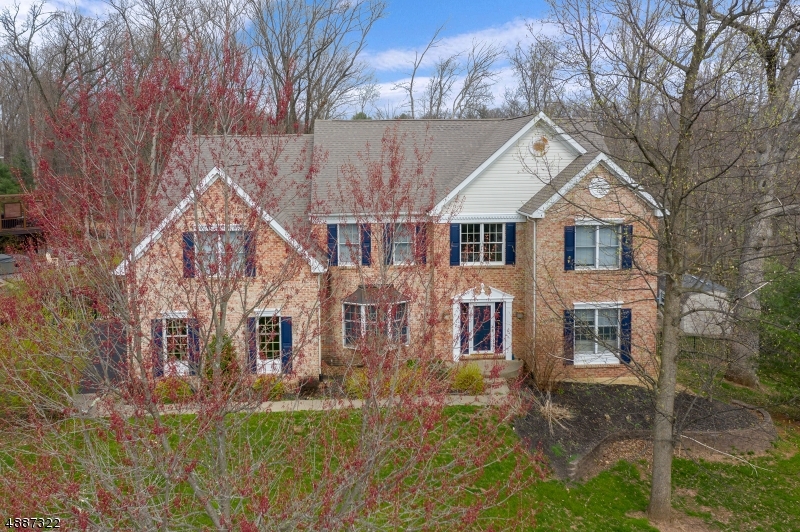 A TRULY EXQUISITE & SUPERBLY-MAINTAINED 4859 SQ FT 5BR & 4-1/2 BATH COLONIAL ON A GORGEOUSLY LANDSCAPED, & EXTENSIVELY HARDSCAPED 2.13AC LEVEL CUL-DE-SAC LOT WHICH BACKS TO WOODED OPEN SPACE OFFERS A GREAT LOCATION W/EASY ACCESS TO SHOPPING, THE MEDICAL CENTER, & HISTORIC FLEMINGTON. THIS LOVELY HOME IS GREAT FOR ENTERTAINING BOTH INSIDE & OUT, & FEATURES A HUGE OVER-THE-TOP RECENTLY RENOVATED CENTER ISLE GOURMET GRANITE KITCHEN W/CUSTOM CHERRY CABINETRY AND UPGRADED APPLIANCES INCLUDING DOUBLE CONVECTION OVENS, A BRAND NEW FRIDGE, & A SIX-BURNER BERTAZZONI STOVE. OTHER HIGHLIGHTS ARE A CATHEDRAL CEILING FAM RM WITH LARGE PALLADIAN WINDOW, A HUGE & ELEGANTLY-TRIMMED DINING RM, A PRIVATE FIRST FLOOR STUDY & A BDRM W/ADJACENT BATH, AN EXPANSIVE MBR SUITE W/SITTING RM, BACK STAIRCASE TO A LARGE BONUS RM & MORE!